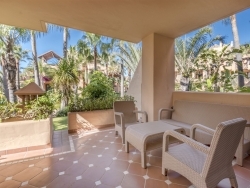 Spacious three bedroom ground floor apartment in a prime location front line beach in San Pedro. 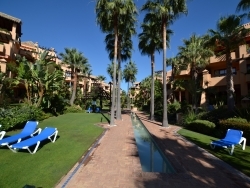 In an enviable position by the beach, Bahía de Alcántara is a delightful complex with lovely gardens, a communal swimming pool and 24 hour security. 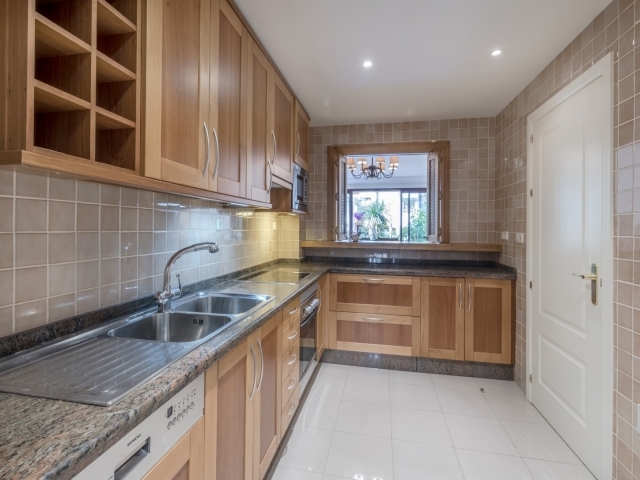 This corner unit offers spacious accommodation comprising a large living/dining room with traditional fireplace feature, fully fitted kitchen, master bedroom with en-suite bathroom, two further double bedrooms and a separate bathroom. Externally there are three terraces; one southeast facing, one south facing and one west facing. 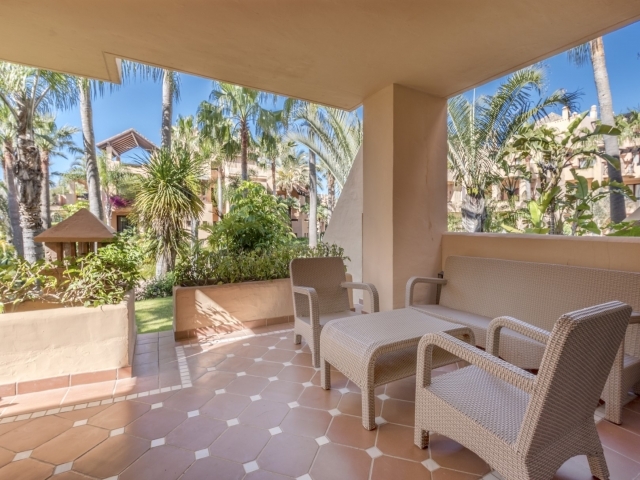 The living room has large terrace doors which provide access to the communal swimming pool and steps down to a gate to the beach. 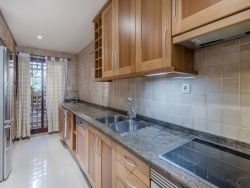 There is parking in the underground garage and a storage room. 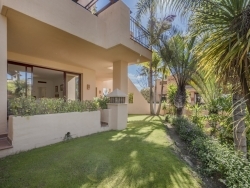 This is a fantastic opportunity to purchase a beach front property in the up-and-coming area of San Pedro de Alcántara. 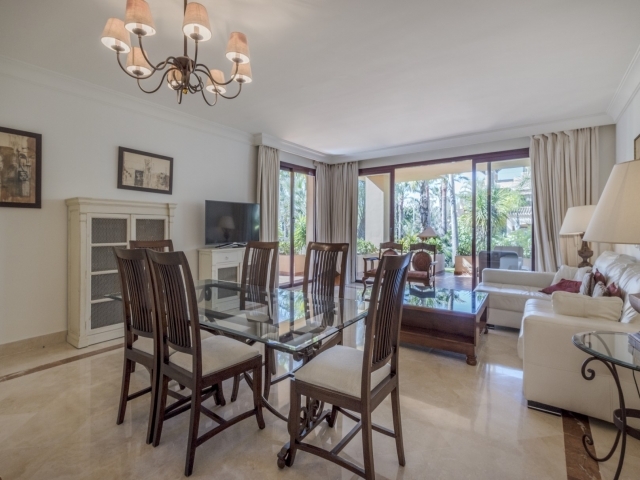 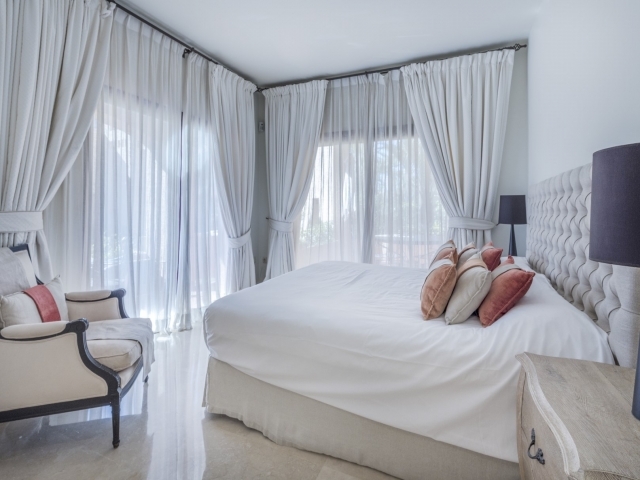 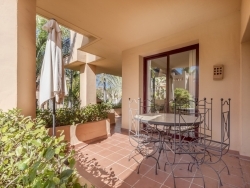 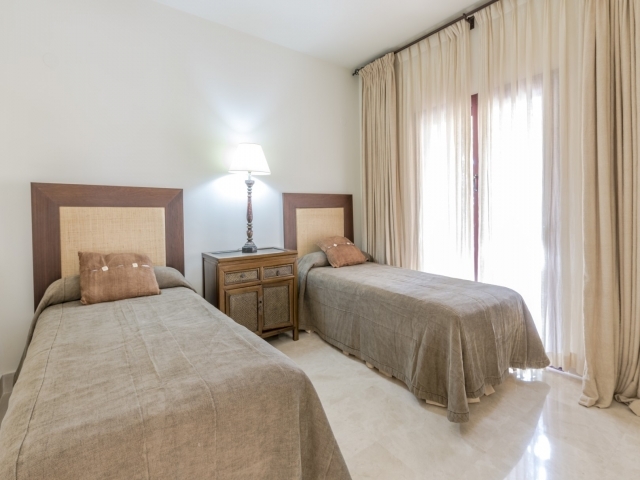 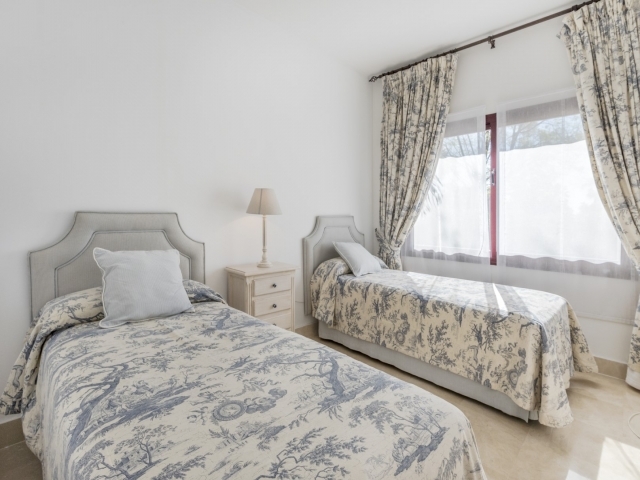 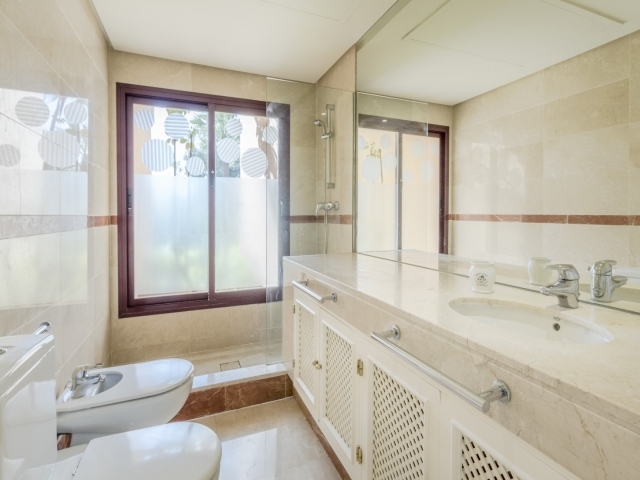 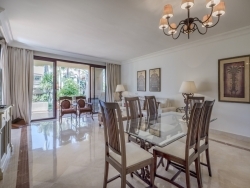 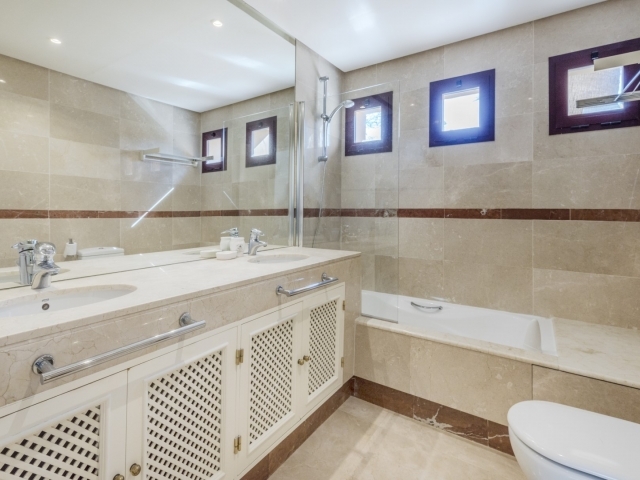 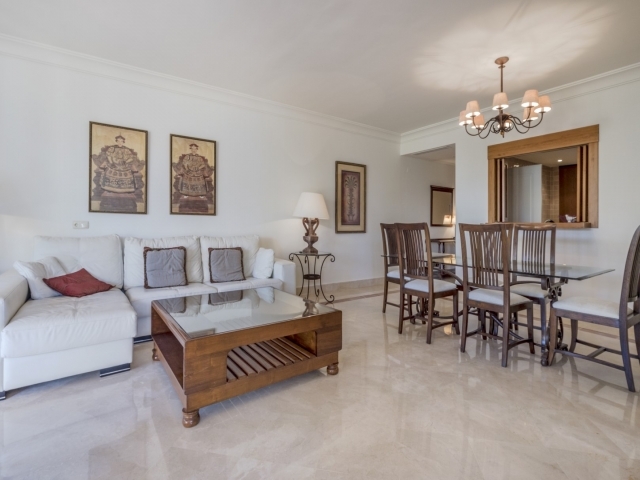 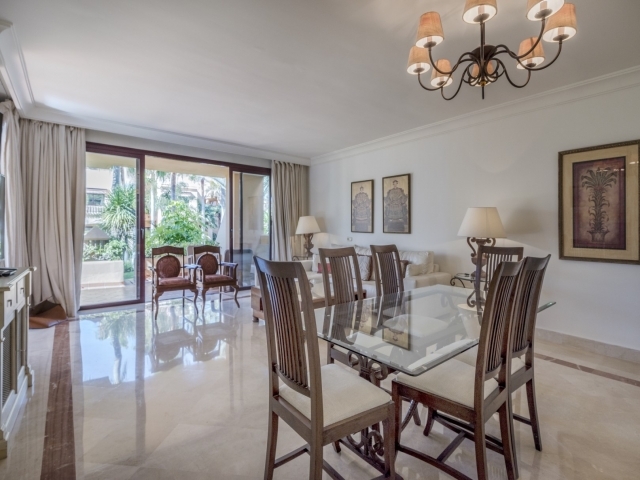 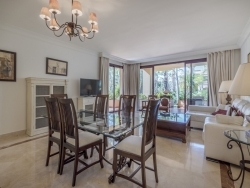 Within walking distance of all amenities in San Pedro town including numerous bars, restaurants and shops - and just a ten minute drive to the luxury harbour of Puerto Banus - it is ideal for couples and families looking for a convenient base on the Costa del Sol.